Home security is one of the most consistent technology fields because it is important for everyone. No one wants to live in a scenario where they don't feel safe, both inside and outside the home. The past year has made security outside of the home even more important than ever, with the increase in thefts of packages by "porch pirates." 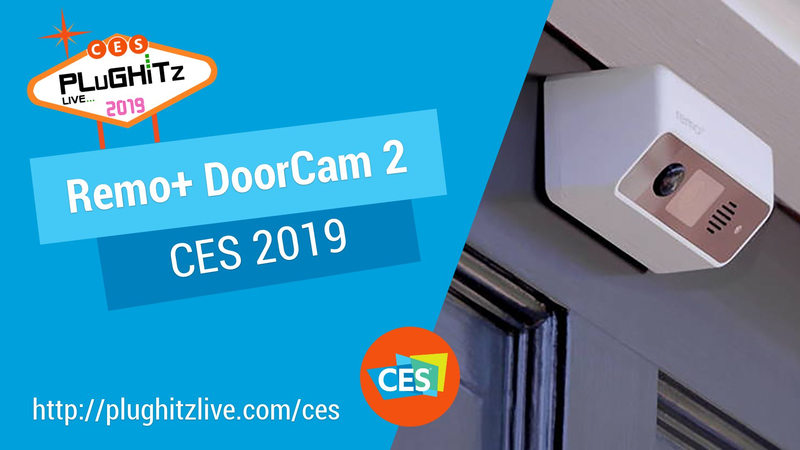 Remo+ has a new camera to make this accessible to everyone called DoorCam 2. When someone comes to the door or comes into the active frame of the camera, you can receive an alert on your mobile phone. From there, you can then open a two-way conversation with the person, either to say you're not available, ask them to wait, or tell them to leave. In addition to DoorCam 2, Remo+ also has more traditional style video doorbells. The RemoBell S, the newest member of the family, is the first hardwired video doorbell from the company. You will have the same type of alerts as the DoorCam 2, based on activity in the field of view. For those whose door faces a neighbor's door, or might have a long field of view, you can customize what field will alert.